I love having meals for dinner that combine a variety of great flavors. 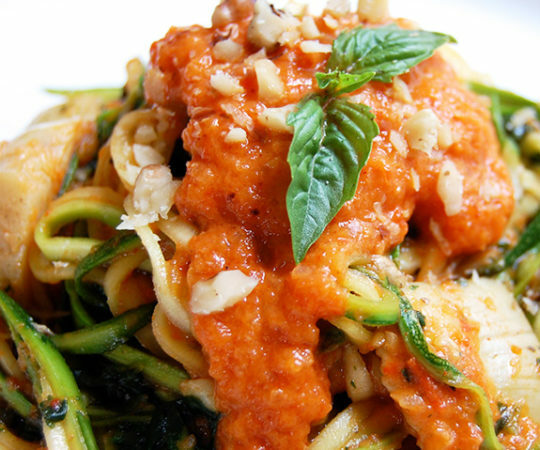 Sweet, sour, spicy -- the more flavors in one meal, the better. 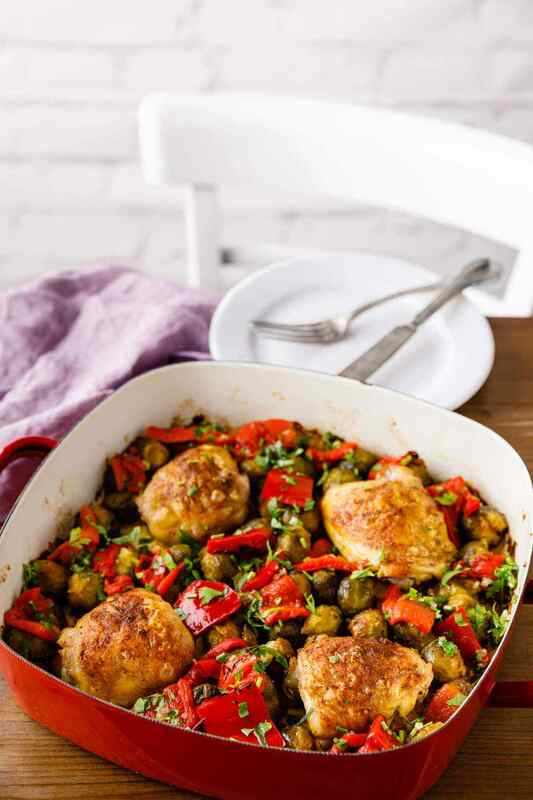 If you feel the same way, then you’re going to absolutely love this recipe for chicken thighs with roasted peppers. The chicken is roasted along with brussels sprouts after being coated with smoked paprika and olive oil. Dark meat chicken is always superb, but this coating really helps add a great unique flavor to the brussels sprouts. 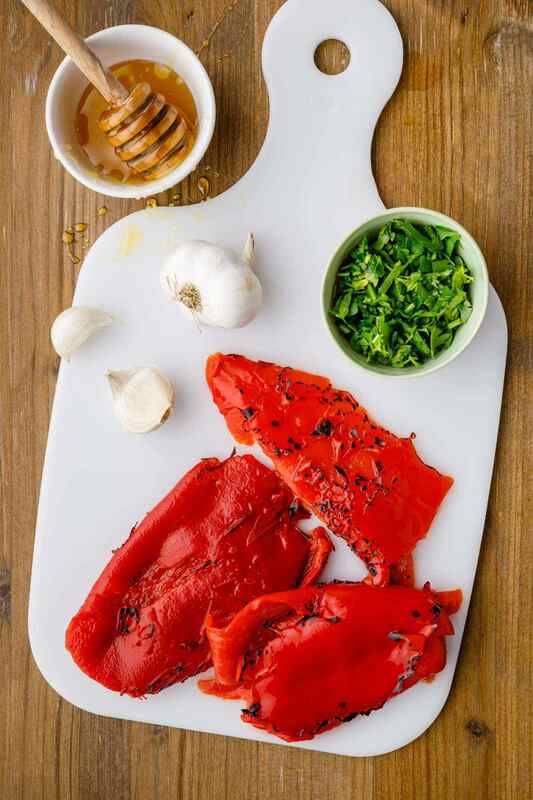 The roasted peppers are made into a delicious salsa mixture that contains honey, apple cider vinegar, olive oil, and garlic. 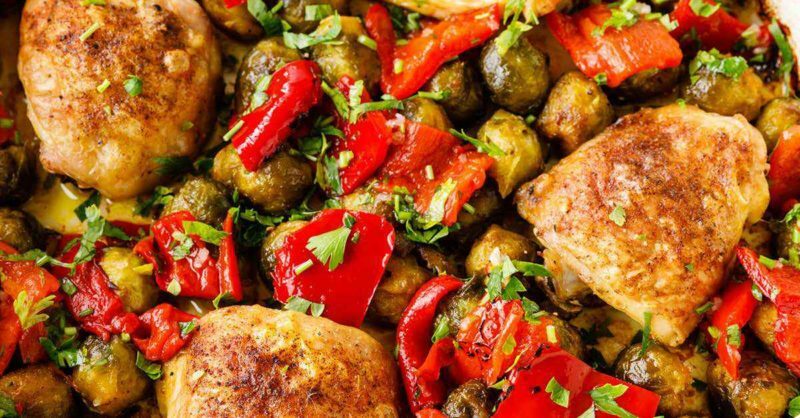 It’s an absolutely fantastic meal that’s full of flavor -- juicy roasted dark meat chicken, savory nutty brussels sprouts, and a sweet and spicy salsa mixture that’s to die for. If I’m being perfectly honest, this recipe would be just fine with the roasted chicken thighs and brussels sprouts, but after coating them in paprika and olive oil, they become even better. Why stop there though? 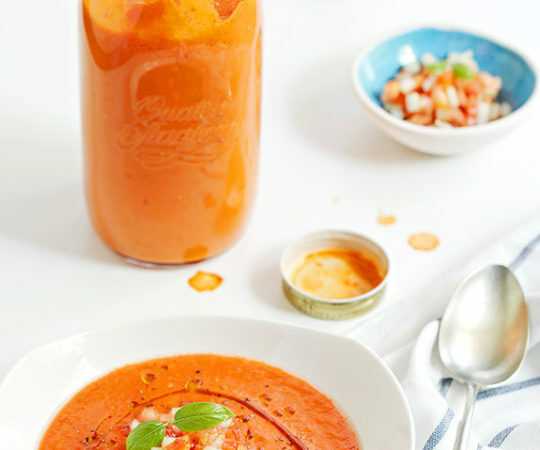 The roasted red pepper salsa really elevates this dish to something else entirely. It all begins with a base that already starts out sweet and tangy as you combine apple cider vinegar, honey, garlic, and olive oil in a bowl. 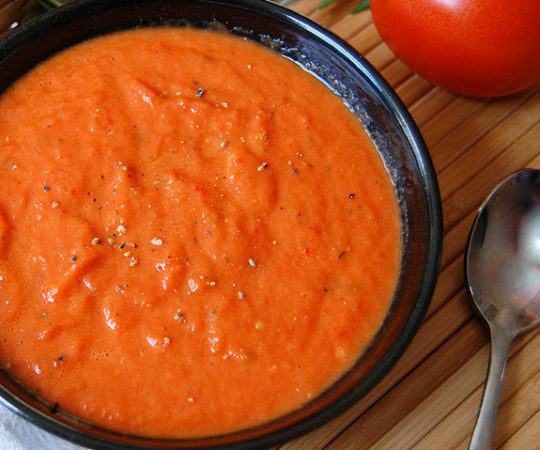 It’s an incredible blend of flavors that is further enhanced by the addition of the red peppers and parsley. 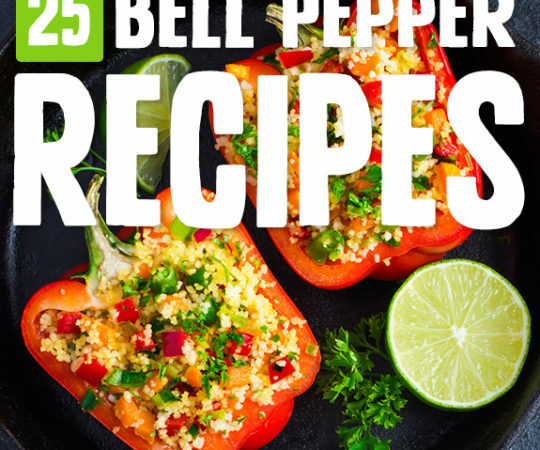 Some people are surprised to learn that bell peppers are fantastic sources of vitamin C, along with vitamins A, B6, E and folate. They also have antioxidant and anti-inflammatory properties, making them an incredibly healthy ingredient to use in this salsa mix. (1) After mixing them all together, toss the chicken thighs and brussels sprouts in the salsa and serve. Chicken is notorious for drying out, but there are several ways to prevent it from doing so. For one, the cut of the chicken matters. 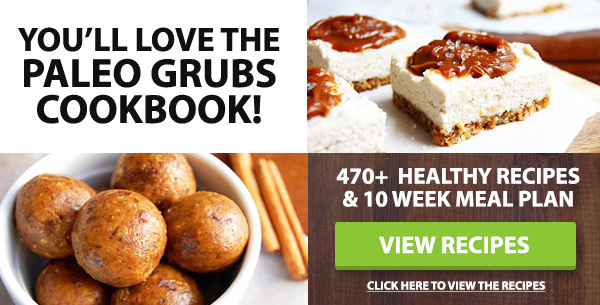 Are you using white meat (ribs, breast) or dark meat (thigh, leg). Dark meat has a higher fat content, so it is more likely to stay moist and juicy. Also, is the skin on? The skin also contains some fats, so cooking will help release them into the meat. Lastly, it’s important to cook your chicken at the right temperature; not too high, not too low. Use a digital thermometer for this to ensure that you’ve killed off most of the bacteria in your chicken without drying it out. I love this recipe because it has all the makings of a fancy gourmet dinner despite being surprisingly easy to make. From start to finish, you can have this meal ready in under an hour. Don’t let how easy it is to prepare fool you, however. 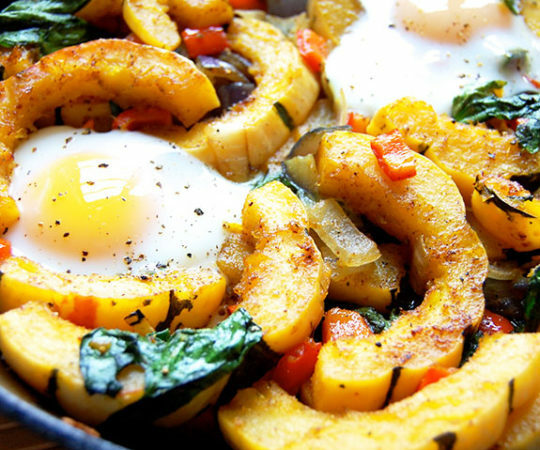 This is one incredibly tasty dish that combines several different great flavors into one amazing meal. 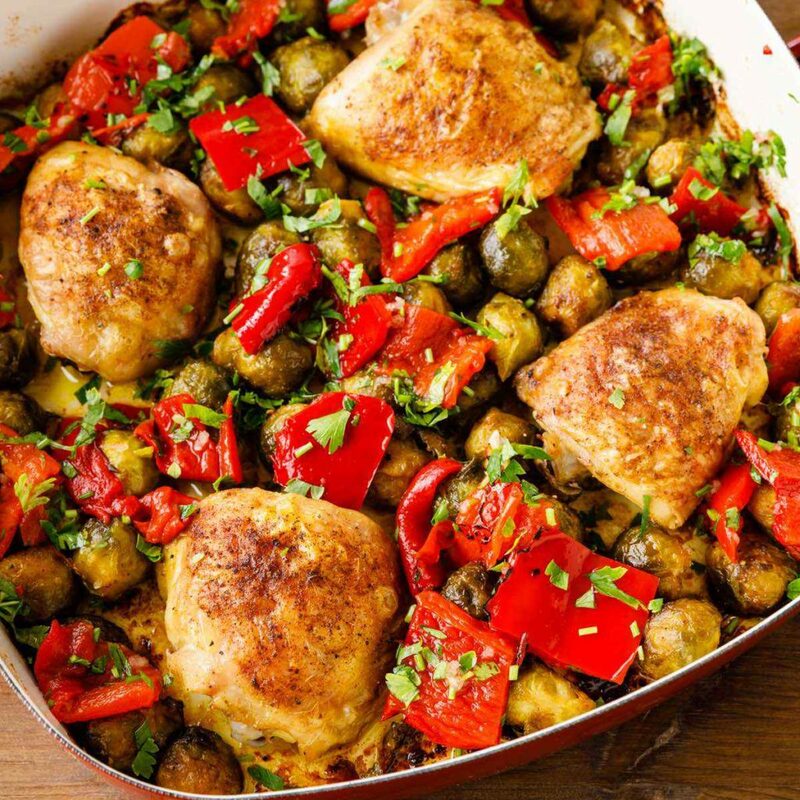 Place the chicken thighs and Brussels sprouts on a roasting pan. Sprinkle with smoked paprika and 2 tbsp of olive oil and toss to coat. 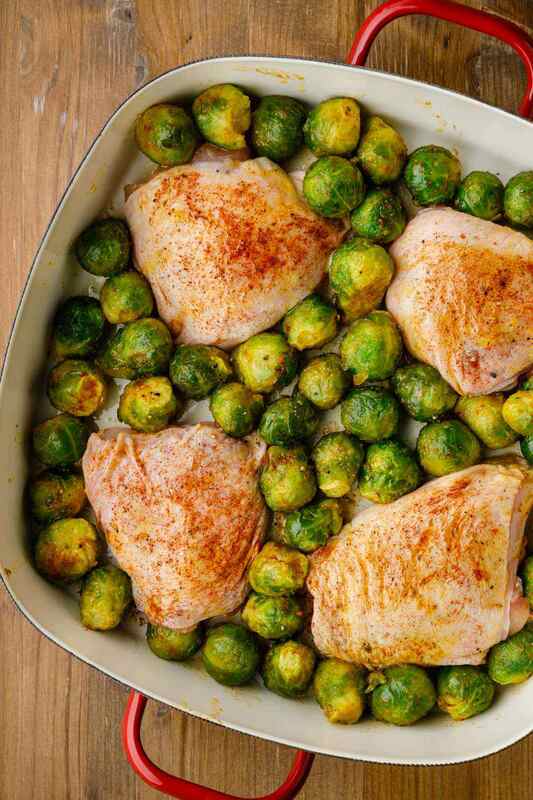 Roast for 40 – 45 minutes, turning the chicken and Brussels sprouts halfway through, until the chicken is cooked through. In a bowl place the apple cider vinegar, remaining olive oil, garlic and honey. Mix to combine. Add the roasted peppers and parsley, season to taste with salt and toss to combine. 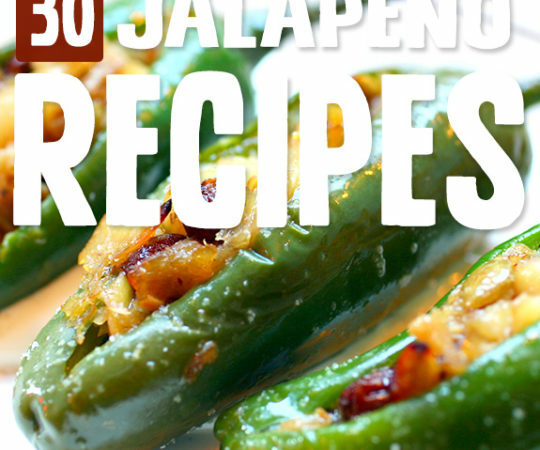 Remove the pan from the oven, add the pepper mixture, toss to combine and serve.